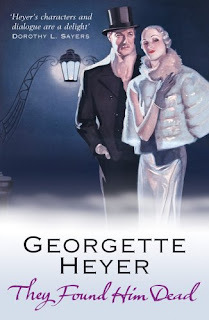 This mystery novel takes place in the late 1930s at Cliff House, a country house owned by Silas Kane, located on the coast near the town of Portlaw. As the book begins, there is a dinner at the house for Silas' 60th birthday. His business partner Joe Mansell is there along with his wife, his son Paul, his daughter Betty and her husband Clive. Also attending are other Kane relatives: Emily, Silas' mother, who lives at Cliff House, Emily's great-nephew Clement and his wife Rosemary, and Jim, the son of Silas' nephew James who was killed in the Great War. Jim has also brought along his younger stepbrother Timothy Harte, nearly fifteen, to stay for a while. Also attending is Emily's secretary, Miss Patricia Allison. Clement is also a partner in the firm of Kane and Mansell. Young Jim went to Cambridge where he got his Blue for Rugger, and now works at the Treasury. He also continues to play rugger on Saturdays, something the two older Kanes don't really understand. Jim is also in love with Miss Allison and has proposed marriage to her. When Silas takes his normal evening walk after dinner, it is late, and no one misses him until the next morning. A search discovers his body at the bottom of the cliff, and it is supposed that he has fallen, perhaps due to a heart issue. That is, supposed by all except young Timothy who is sure it is murder. Timothy has a love of drama, American gangsters, and other lurid adventures. Clement is Silas' heir and since he has familiarity with the company, quickly moves into consideration of a deal with an Australian firm that the Mansell's were in favour of, but that Silas was not. Clement is inclined not to be either, but resolves to take due consideration. Another player here is Oscar Roberts, a representative for the Australian firm. He is eager to get the deal finalized, but understands that those making the decision must look at all the information.. Particularly as it is the Kanes who will be putting up the money for the deal, and thus taking the biggest risk. The romance between Patricia and Jim is one of compliments and blushes and proceeds apace. Timothy follows all the action with gusto, coming up with all sorts of scenarios and motives. Gamache is now the chief superintendent of the Surete and has been for about a year. The action begins with him in court in the witness box as a witness for the prosecution in a murder trial. As the book begins, you don't know who has been murdered or who is on trial for the murder. As the book jumps back to a time several months earlier when a strangely robed figure appeared on the green in Three Pines, and works it way forward, you begin to discover the many stories that led to the scene in the courtroom. This is a story about friendship, about addiction, about corruption, and about organized crime. It shows the importance of planning and of patience. It shows the dangers in taking things, and people, as they appear. This is a complex read, with a lot going on, and the reader sees the beginning and the end. This cozy mystery is part of the Magical Cats Mystery series, but the first one I've read in the series. Kathleen is the head librarian in the small town of Mayville Heights, Minnesota. She's a smart women, with good instincts who has solved several mysteries with the help of her two cats Owen and Hercules. Kathleen knows that her cats are special, and understand her when she talks. She also knows they each have their own special qualities. Owen has the ability to become invisible when he wants, and Hercules can walk through closed doors. The other employees at the library are all interesting characters as well, from Mary with her interesting past, and extensive knowledge of the town and its people to young Mia, with her thirst for knowledge. Kathleen is in a relationship with Marcus a local police detective, and she has a suspicion that his young cat Micah has similar qualities to Owen. When Mia's grandfather Leo comes to town to visit her and her father Simon, it brings up past memories among the town's older inhabitants. They remember when Leo's wife Meredith left him for his brother Victor, and then died in a car accident, reportedly on her way back to Leo. Victor is in town as well, ill and hoping for a reconciliation with his brother. Recent renovations to the local post office uncovered a cache of photographs and undelivered mail. The mail was sent on its way, more than twenty years after they were sent, and the photographs, of a range of time periods were given to the library. Library staff are going through them, identifying the people portrayed and finding owners for them among those people. They need more help though and Kathleen welcomes ideas about how to publicize the collection to help the process. 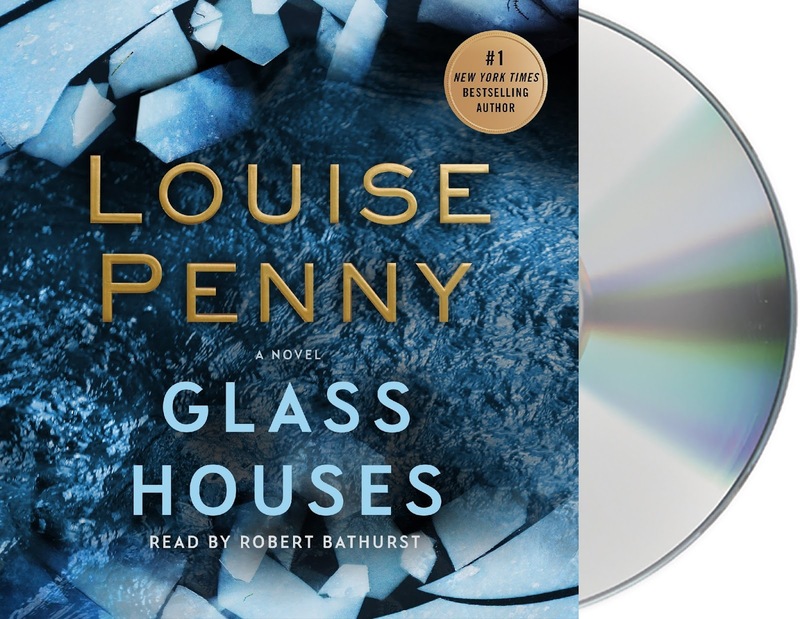 When Leo is found murdered, it is Kathleen who finds him. With her closeness to Mia and her innate curiosity, she and her cats do the research on the people who knew Leo to try to find motive and opportunity. 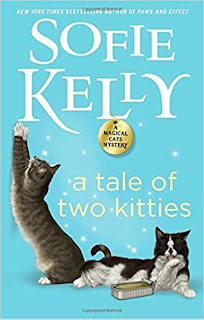 I enjoyed the various characters in this story, and the personalities of the cats on the case. There is lots going on, but good research leads the librarian and her pets to the discovery of quite a few secrets. This mesmerizing novel tells the story of Yasodhara Rajasinghe, a Sinhalese woman from Colombo, from the birth of her parents Nishan and Visaka to her own adulthood. It also tells the story of Saraswathi, a Tamil girl of northern Sri Lanka. Saraswathi is the eldest girl of the family, with three older brothers as well as her younger sister. Yasodhara grows up with her sister Lanka and their upstairs neighbour, a Tamil boy named Shiva. The three are inseparable, spending all their free time playing together. But their peace is broken when civil war erupts and Shiva's family is forced to flee. 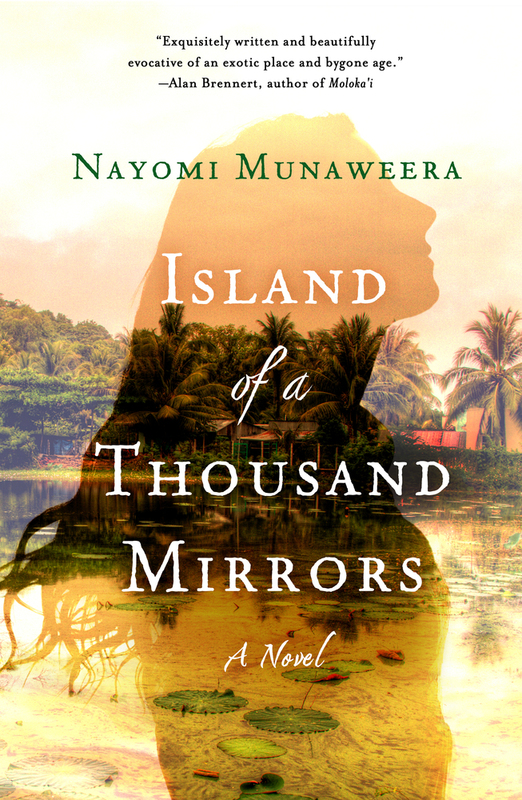 Tragedy engulfs Yasodhara's family at this time, and her parents and Lanka and her emigrate to the United States. 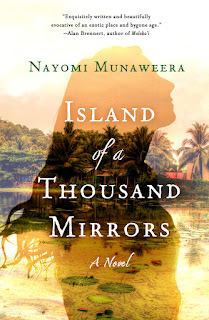 Lanka is the rebel, while Yasodhara does what is expected of her until her world begins to fall apart and she rejoins her sister in their home country. Saraswathi's world falls apart much earlier. Her dreams of becoming a teacher fall to ruins as she gets caught up in the war, with events and the reactions of her family and neighbours leading her to a new life as a revolutionary. This is a story of Sri Lanka, of its people and their struggle for a dream. It is a story of people caught up in this struggle despite themselves, and about the violence that will change their lives forever. The lush country comes alive through the author's descriptions, and we get a real sense of the beauty of this country. 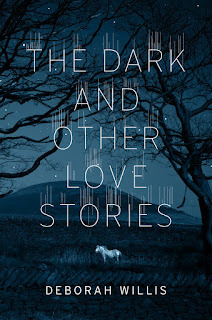 The characters at the heart of this novel are one's you care about. A wonderful read. This fun picture book shows a young girl going through her day energetically, and compares her escapades with the actions of various animals, from bats to eels. She is happy, enjoying the way her body can move. Whether alone, with friends, or with her parents, she is a creature of nature. The illustrations show her pleasure in what she is doing, as she goes through her day. This is a good book for bedtime as well, as it ends with the girl tucked up in bed, ready for sleep. I also liked that the animals that she is compared to aren't always what I would have guessed they would be, but they still fit perfectly with her movements. 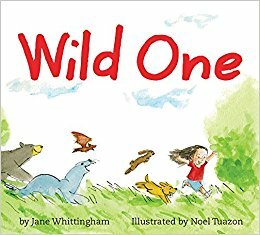 A short, fun read that will likely become a favourite for little ones. 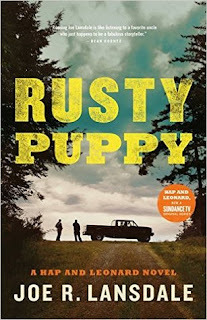 This is the first book I've read in the series set in Texas featuring Hap and Leonard, and I thoroughly enjoyed it. Hap is a middle-aged man in a serious relationship with Brett, who also owns the detective agency where he and Leonard work. Hap is also the father of a young woman Chance, a fact he has only recently discovered. He is pleased with this discovery and has made her a part of his life. Hap describes himself as a white trash rebel. Leonard is a gay, black, Republican, Vietnam vet. Leonard is not long out of a serious relationship. The two men have been friends a long, long time, and that shows in their banter. They are both wise asses, and sometimes don't know when to shut their mouths. They are also both good guys with good instincts, and that shows too. As the book begins, Brett and Chance are both sick with the flu, and Hap and their dog Buffy are hanging at the office. When a woman who lives across the street from the office comes in wanting to hire them, Hap listens to her story. Even though she hasn't got much money, Hap takes on the case to find out what really happened to her son, who was murdered. She's told him of one witness who says that the cops are the ones that committed the crime, and Hap sets out to find the guy. The case takes Hap and Leonard into the projects, where they find people who may have seen things, young men protecting their territory, and a girl with an attitude. Leonard dubs her the four hundred year old vampire dwarf, in a way that lets you know he is both irritated by her and awed by her. The case also takes them into the territory of a police force that has an reputation for not just turning the other way, but being heavily involved in local crime. One local place, an abandoned mill, now is used for more nefarious purposes, such as getting rid of dogs and other unwanted beings in the toxic pond created from sawdust and mill runoff. I liked the duo and their inner goodness. I also liked the rollicking nature of the book. 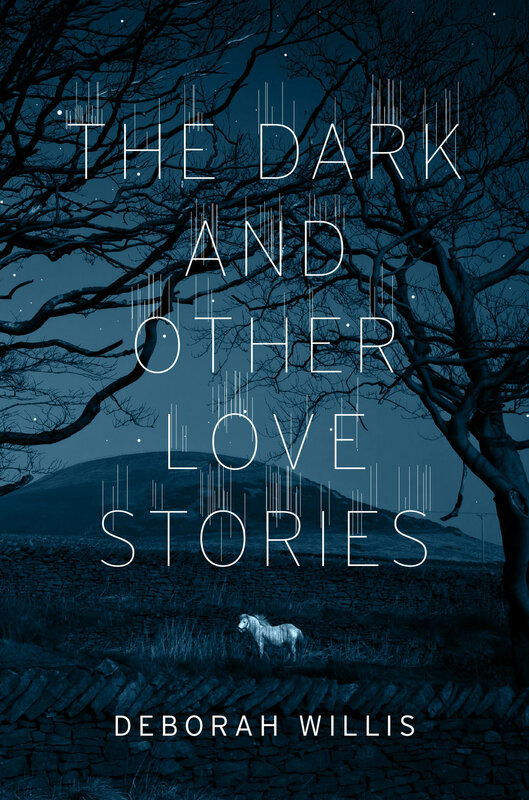 This collection of short stories varies widely, with many characters unhappy with their current circumstances. They are about relationships, the messiness of them, the need to compromise. They are about love, but not easy love. Love in real life with all its complications, all the temptations to wander away to other things. It took me a couple of stories in before I fell for this book. Some stories held me more than others, but they all had me wanting more about the characters. What happened after the story? I want to know. A great collection. This suspense novel begins with a death. Nel, single mother of a teenage daughter, Lena, has been found dead in the river in a small English town. Nel and her younger sister Jules had grown up there, living in the Old Mill House, the same house that Nel and Lena live in now. Nel always overshadowed her sister, more outgoing and prettier than her. When Jules was only thirteen something came between the sisters, causing Jules to draw away from Nel. Now Jules must return to deal with her sister's death and take charge of Lena. The death seems like a suicide, taking place in a spot known locally as the drowning pool, where women going back centuries have taken their own lives. Nel was obsessed with the river and the women, and was planning to write a book about it. One of the stories that the reader becomes aware of is the deliberate drowning of a seventeenth-century girl who was suspected of being a witch. Another is a woman who drowned herself shortly after the first World War, after killing her husband who had returned from the war a changed and difficult man. More recently the local policeman's mother had supposedly drowned herself after a love affair gone wrong when he was only a boy, and Lena's best friend Katie had drowned herself for no explicable reason just a few months ago, filling her pockets with stones. The police brass are eager to close the case quickly, but there's a new policewoman in town and as she begins talking with the locals and getting a feel for the various players, more inconsistencies come to light. Lena and Jules have both noticed the absence of Nel's bracelet, a bracelet that belonged to her mother and that she wore constantly. Katie's mother is still looking for answers, and for someone to blame. 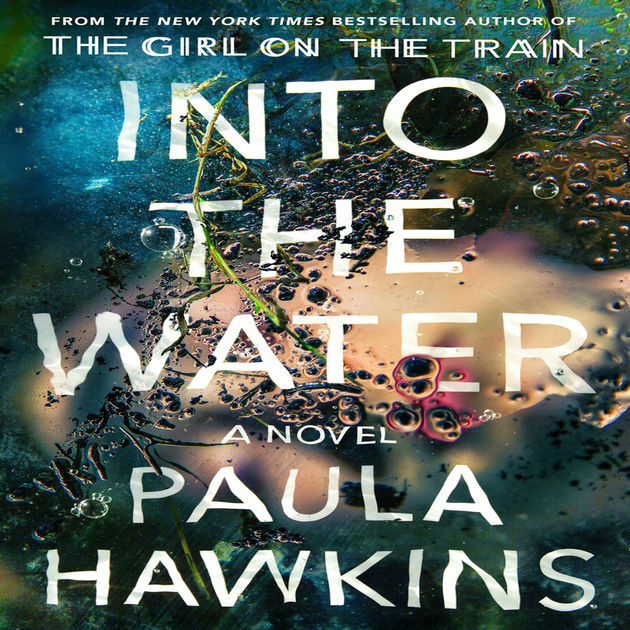 As both Jules and the policewoman make headway, the question arises of whether the drowning pool has drawn women who see no other choice or men who see a way to get rid of troublesome women. I liked this novel better than her first, and found the tie to historical cases interesting. Things are always what they seem and this town has more than its share of secrets. This is always a fun challenge to do, and I'm pleased that I completed it so early. The challenge runs from January to December 2017. You need to read books in the following categories, and the host gives examples for each category at the host page. Here is my sign-up page. * The Palace of Heavenly Pleasure by Adam Williams. Finished February 4. 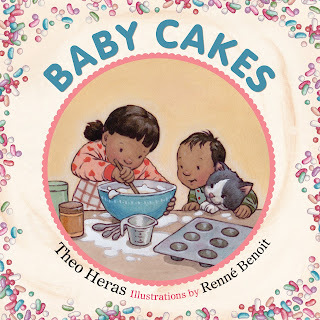 This picture book shows a young child and the family cat helping mom make cupcakes. They gather ingredients, measure, mix, spill a little, fill the pans, and wait for the cakes to back. The illustrations are cute and everyone looks like they are having fun. It's a nice idea for kids who like to help in the kitchen. Included in the end papers, are a recipe for chocolate cupcakes in the front, and vanilla frosting in the back. This is where a few minor inconsistencies came up. The characters in the book make vanilla cupcakes, but the recipe is for chocolate cupcakes with a vanilla option noted. The recipe is in a different order than the story. In the story, they mix the dry ingredients first, but in the recipe they cream the butter first. The characters in the book seem to be eating baby cakes with frosting at the end, but there is no activity of them putting frosting on the cakes. I know these are minor inconsistencies, and don't have an effect on the fun of the book, but they just jumped out at me. One very positive note: I know there has been much discussion of late of more children's books where the children can see themselves in the books they read, requiring more diverse characters in kids' books, especially where the characters are just themselves without commentary on race or ethnicity and I was pleased to see this book as a great example of filling that need. This chapter book features Lauren. Lauren has Autism Spectrum Disorder, and she has several tools at her disposal both at home and at school to help her when she begins to feel frustrated or panicky. 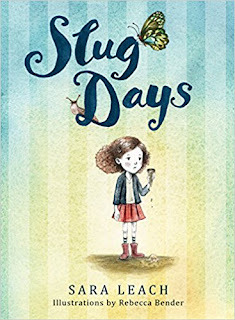 Those days when things don't go well Lauren refers to as slug days. As the book begins, Lauren's day starts off badly when her usual seat on the bus is taken by another child. The bus driver is a substitute driver, and so when Lauren's initial solution doesn't work, she must find a new seat, and find a way to control her bad feelings. As we see Lauren encounter different situations in her life, in the classroom, at home, and elsewhere, we learn the different types of challenges that she must deal with. This book works well to explain some of the typical challenges for children on the spectrum, and shows some of the different techniques that can help. Good days for Lauren are referred to as butterfly days by her, and we see her enjoying these as well. Having a new baby sister is one change to her routine that she has found challenging, but we see her find a way to make that connection for herself. We also see her finding a friend at school. We see the reality of teachers and other adults not noticing behaviours and Lauren needing to find her own solutions. The illustrations are charming simple black and white drawing, but give a sense of the situations Lauren finds herself in. 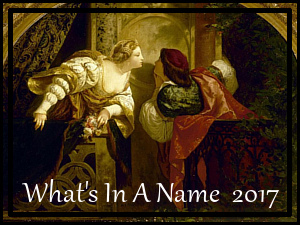 This novel has flashbacks to an event that happened when Francis was thirteen. His parents had another couple and their young son, Sam, over for dinner. Sam was 10, and Francis' younger brother Lucas was 9. After dinner, Sam did a special presentation for the adults, and when he went back upstairs he quickly returned, speechless and upset. Lucas is found unconscious in the bathtub. Despite Francis' parents efforts, Sam never spoke of what he witnessed that day. Francis' parents divorced, and he moved on, changing his last name. But when he returns to his hometown of Lansing, Illinois to take on a job at the local paper, the past comes back to haunt him. 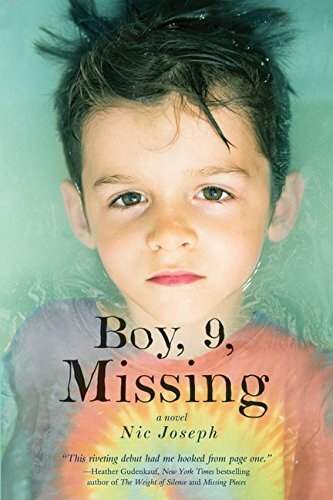 Sam's own young son, Matthew, only 9 years old, has been kidnapped. Francis' father is one of the key suspects. Francis begins the search for his father, which also leads him to the truth about that evening so many years ago, and what really happened to his younger brother. Francis is separated from his wife and his teenage daughter Amy is coming to live with him for a year while his wife takes on a European assignment. Francis is eager to ensure his daughter is made welcome, but he has never told her of his own past. 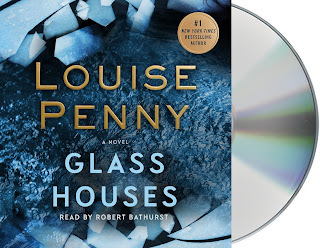 The day she is due to arrive is the day that the news about Matthew's kidnapping breaks, and Francis finds himself first threatened, then offering his assistance in the case. This is a sad story about justice delayed, about a child caught up in an incident not of his making, about how love can lead us astray, and about how secrets can change lives.